​It appears as though we write about ludicrous comments from Charles Barkley every few days or so. Just two days ago ​he crashed John Calipari's post-game presser and on Monday night, the ​NBA Hall of Famer crowned Tom Brady the GOAT of GOAT's over Michael Jordan during halftime of the Lakers-Warriors matchup on TNT. 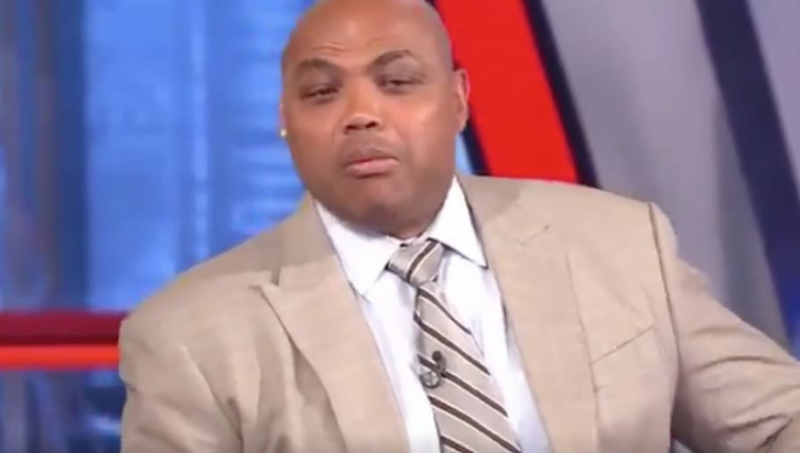 ​​The comments left Ernie Johnson and Shaquille O'Neal practically speechless and almost forced Kenny Smith to walk off the set, but not before he sniffed Barkley's mug to ensure he wasn't intoxicated. Barkley's comments, however, could actually lead to an intriguing debate. The TNT crew, for the most, part, are biased toward Jordan because of their basketball background. If the Patriots take down the Rams in two weeks, Tom Brady will equal Michael Jordan's six championships. Let's compare the resumes for a hot second. Brady: 14 Pro Bowls, five All-Pro nods, three MVPs, two Offensive Player of the Year awards, and four Super Bowl MVPs. MJ: 14 All-Stars, five MVPs, 11 All-NBA selections, six Final's MVPs, and 10 scoring titles. Say what you will about Chuck, but ​every once in a while he'll surprise you with a plausible take.